Research can be a wondrous labyrinth, leading to unexpected places. That's what happened to today's guest, historical novelist Diane Scott Lewis. The Cornish say there’s magic in a ring of stone. Reading Daphne du Maurier’s non-fiction Vanishing Cornwall for research on an earlier novel, I came across the haunting picture of a stone shaped like a ring perched on a windswept coastline. I decided I had to write a story around such a formation. For my novel, Ring of Stone, this wind and rain-ravaged phenomenon plays a vital part in the lives of the Gwynn sisters, and others in the remote village of Lankyp. Cornwall is steeped in myths and magic and the more I researched—before the days of the internet—the more legends I wanted to include in my story. I traveled to Cornwall and walked the stormy northern coast, but also pored over numerous books at the Library of Congress. I tossed in a practical young woman, Rose Gwynn from America, and placed her in the difficult position of wanting to practice as a doctor in a time when females were forbidden—in 1796. She’s journeyed here with her family, to the land of her ancestors, for her father’s career. Rose discounts anything supernatural and humors his tales of an ancient curse. However, her beliefs will soon be tested and twisted in a strange direction. Rose’s arrival in the village will distress the local physician, Dr. Nelson, to whom she pleads to for assistance. Unbeknownst to her, stoic, young Nelson hides a ruinous secret and cannot allow anyone close. Rose’s beautiful sister will attract a nearby earl, who may or may not harbor evil inclinations. A tavern wench named Catern knows the ugly truth about the earl but her humiliation has kept her from revealing the painful details, though she seethes with revenge. These three people, Rose, Dr. Nelson, Catern, will come together in ways none of them expected to help or hinder and change all their lives forever. The stone ring will have an explosive moment—or is it the characters’ imaginations?—to help one woman discover love, and save another lady’s life. A Cornish wise-woman or “Charmer” also plays a prominent role in the story, teaching Rose to see her past as her and her sister’s future. The elderly charmer warns that someone who has barged into an ancient land should never disregard the old ways. I tried to fit the supernatural aspect, as much as I could, into a scenario that might have happened as I’ve written it—perhaps. I enjoyed writing this story and I hope readers will enjoy the journey into mythical Cornwall. 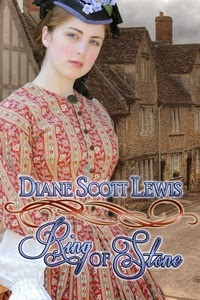 Learn more about Diane Scott Lewis on her website. Ring of Stone will be featured at a cheaper price on Amazon Countdown. March 24th for Amazon US. March 25th for Amazon UK. Purchase Ring of Stone on Amazon US and Amazon UK. "Noir" is one of those terms that most of us understand vaguely, as a feeling we get when we read or see a darkly shadowed work showcasing the urban underbelly. But what is noir to an author who writes it? Please welcome AJ Sikes, who explains how he approached this genre in his new novel, Gods of Chicago. Thank you, Anne, for hosting me today. 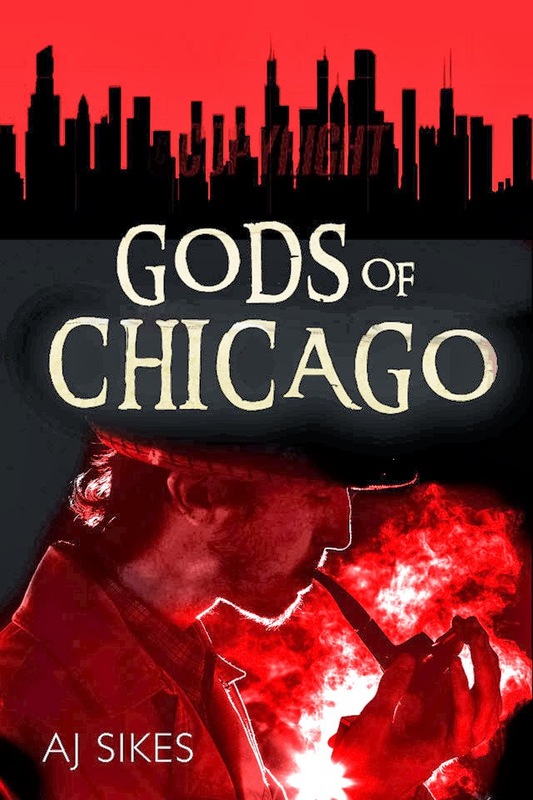 Gods of Chicago is a noir urban fantasy set in an alternate history 1929. Like all genres, noir has a set of tropes and characters who need to appear on the page for a particular story to fit readers’ expectations. In their introduction to The Best American Noir of the Century, James Ellroy and Otto Penzler famously (perhaps infamously) describe the genre in such a way that reading noir becomes tantamount to donning an executioner’s hood. There are no winners in noir fiction, they say. The late Roger Ebert had as much to say about filmic interpretations. My tough luck that I wanted to write a story that wouldn’t match any of these admittedly well-informed opinions. It’s important to me that stories lead somewhere. Not necessarily to the fabled land of sequels and movie deals, but at least to a place that doesn’t leave ashes on the tongue. Noir storytelling involves scenes and events that are intentionally disturbing, but such instances don’t have to be the point of a story in order for it to be considered noir. A tale can be disturbing and still succeed at entertaining, possibly even evoking a sense of hope. I wrote Gods of Chicago to tell a story that aims to entertain and disturb in equal measure. Bad things happen to good people. Innocence is treated with derision if it’s acknowledged at all. In that sense, the book does fit with Ebert’s description of film noir as “A [story] which at no time misleads you into thinking there is going to be a happy ending.” The storyscape is what you’d expect as well. Dark alleys, dim skies, back doors and hidden entrances, grimy city streets, and the lowest people on the social ladder kept well away from the upper crust. The people you meet have all seen enough to know there isn’t much reason to hope things will get better. But they still try. Whereas Ellroy, Penzler, and Ebert are convinced nobody but nobody thinks they’ll really win in noir, the characters in Gods of Chicago aren’t beaten yet, and they’re going to keep proving that to you long after the gun smoke clears. Yes, everyone in the book is making a play and has a stake in the game, but that’s true of any character in any genre - perhaps no more so than in real life, where we all face obstacles to success and achievement on a daily basis. Fiction magnifies our little struggles for us, and that’s part of the joy of reading (and writing) for me. It’s enlivening to see characters faced with peril and doom only to overcome and triumph, to some extent, at the end. With Gods of Chicago, I aimed to capture the fatalism and futility that Ellroy and Penzler point up as hallmarks of the genre, but I also set out to dispel the myth that ‘all is lost’ in noir fiction. The skies and streets may be black with portent, but somewhere out there is a hint of light flickering, maybe even showing the way out. Gods of Chicago is available now as a Kindle ebook and Paperback. I've written novels, novellas, novelettes, chapter books, short stories, flash fiction, and drabbles. Still, I've never done what today's guest, Janet Lane Walters, has accomplished: she's written a unified series of short stories about related worlds. I'll have to try that! But first, welcome to The Amber Chronicles. I began writing short stories until the day an editor told me what I'd written sounded like a synopsis for a novel. Back to the drawing board and I was off on writing novels. Then I joined a group of writers called Jewels of the Quill as Dame Amber and was asked to participate in their anthologies. Thus the world called Amber was born. The stories weren't written in chronological order and ranged in length from 2500 words to 15,000 words. Four of the stories in Amber Chronicles were published in the anthologies and numbers 5 and 6 were written after I received the rights back to the books and decided to write a beginning to the story and tie all the stories together. The main character is a witch called Emme who must learn what it means to give and receive love. She wants to marry a crown prince and when she constantly fights with her sisters is send to another world where she must learn her lessons. Emme starts out as more of a villain than a heroine but I knew she had to be redeemed. Writing the first story was difficult since she needed to be mean yet be able to learn what she must. Though the shortest story in the collection, this took the longest to write. But as a writer I loved Emme and wanted others to love her as well. Her story became The Amber Orb and she sets a curse on the first of the princes to turn her down. He is taken into the amber orb. Stephen enters the orb and is transported to a land where a dragon is terrifying the inhabitants. The Amber Dragon tells the story of an enchanted princess transformed into a five foot, fat amber dragon. She has lessons to learn and she needs a prince to rescue her. This was a fun story to write and was a bit of my take on The Princess and the Frog fairy tale we all know and remember. The story was a fun one to write and made me chuckle a time or two. Hopefully the readers will react in similar ways. Having failed once, Emme tries again. This time the prince is Rafel who refuses to accept her offer and give her his love. He is transported to a world with an aging king who has a niece he raised from birth and another who suddenly appeared and who is everything the first niece isn't. Here Rapunzel came to mind and The Amber Tower was born. This time Rafel is the prisoner in the tower and he is faced with a choice to wed either of the princesses. Marriage is not a state he wishes. There were times while writing this story that I struggled but as well as Rapunzel, I had one of those Aha moments and added a bit of The Lady or the Tiger to the story. Emme doesn't give up. She tries for Ivor and he refuses. He enters the orb and arrives in a world where a princess is in The Amber Cage. Ivor loves music and in the world he not inhabits, people sing rather than speak. He faces tests and has two rivals for the hand of the princess. The ending came to me from a record my father used to play a warp sound but I won't give what happened away. In despair Emme decides to grow up with the next prince, Hugh. She now begins to learn the lesson she was sent to learn and the story ends with a reverse of the other stories. Odd thing was this was the first of the stories I wrote and I think I was a bit influenced by Anna Karenina, a story I read at a very young age and thought the ending was dumb. What always interests me in writing is how something from childhood enters a story in different ways. This story was titled Woman Cast In Amber. The final story features Kristen the prince who fell in love with the woman cast in amber and how he wants to rescue her. Since this was the last story in the group, there had to be an ending and Emme had to prove she had learned the lesson. Started this story several times. I believe there were at least three versions before I found the right mix. All in all, these stories were fun to write. Starting near the end of a series of related stories and going to the beginning of the events may not be how this should be done. I enjoyed writing each of the stories and bits of myself entered the three worlds of the Amber Chronicles. 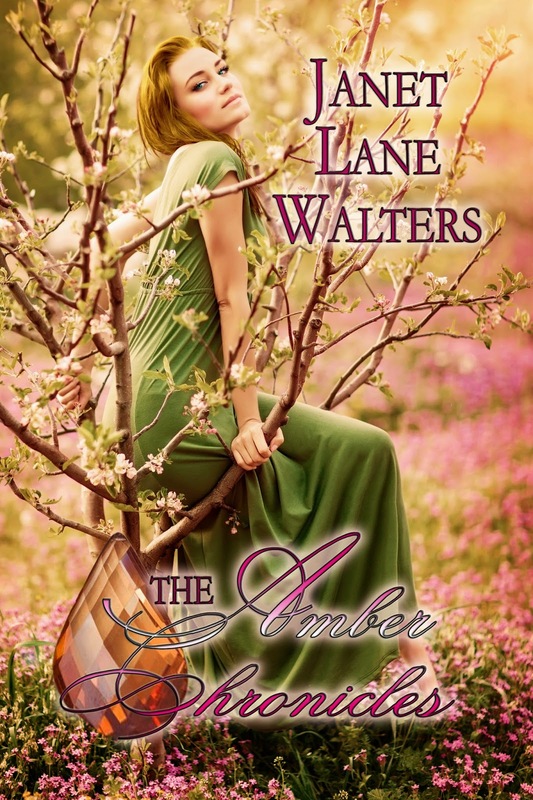 Learn more about Janet Lane Walters on her website and her blog. You can buy The Amber Chronicles on Amazon.